Recently elected Congresswoman and self-described “Democratic Socialist” Alexandria Ocasio-Cortez will be the youngest woman to serve in Congress in the history of the United States. But what does she stand for? Platitudes and free stuff? 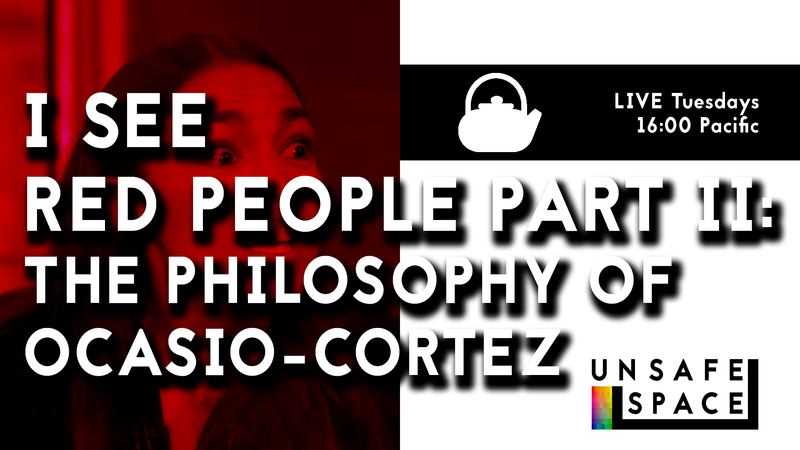 What is the philosophy behind her platform, anyway? Please join me for Teatime, and feel free to Tweet ideas/suggestions/comments to me at @unsafeshow, or leave them here on Youtube. Every Tuesday at 16:00 Pacific, we’ll examine the philosophy behind popular political and cultural positions spouted on Twitter, cable news, or elsewhere, and talk about what would happen if we took these seriously and applied them to everyone universally. Next Post: [Live: Episode 032] Deprogrammed: Social Justice is a Cult!